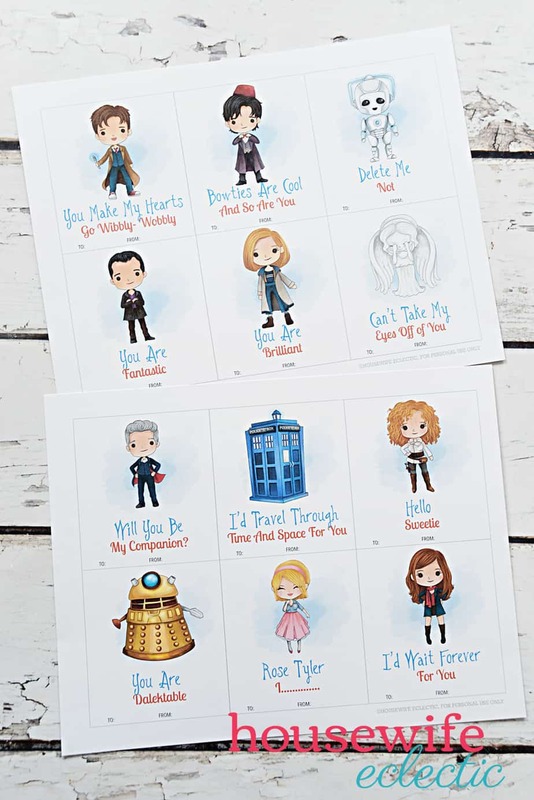 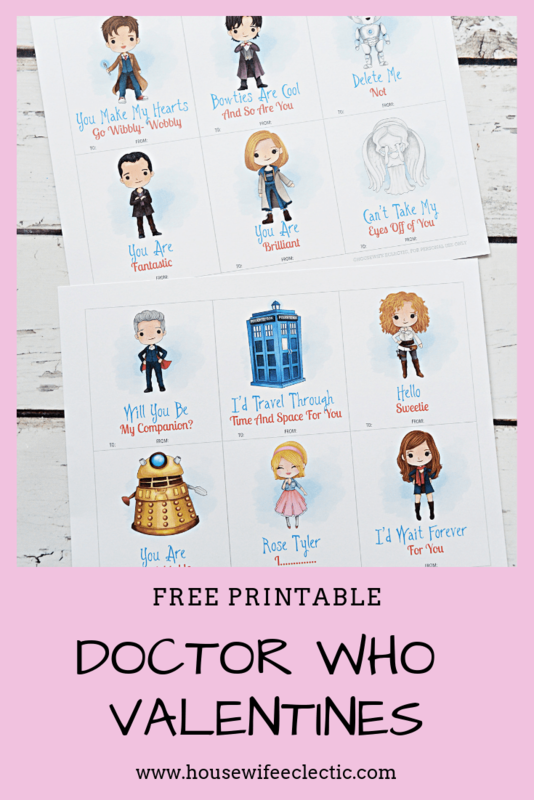 Over the years, I have made dozens of different printable valentines, but this is the first time I have created Doctor Who Valentines. 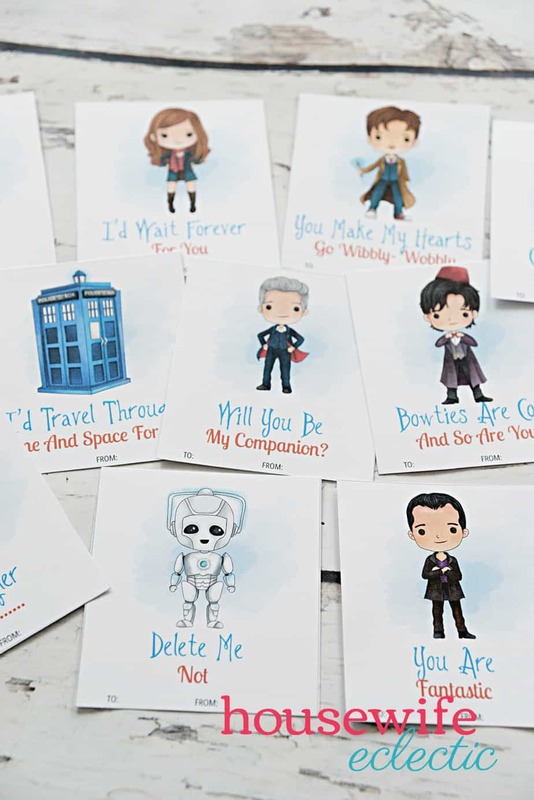 It took me a while to find just the right vibe and I am glad that I waited because they turned out even better than I hoped! 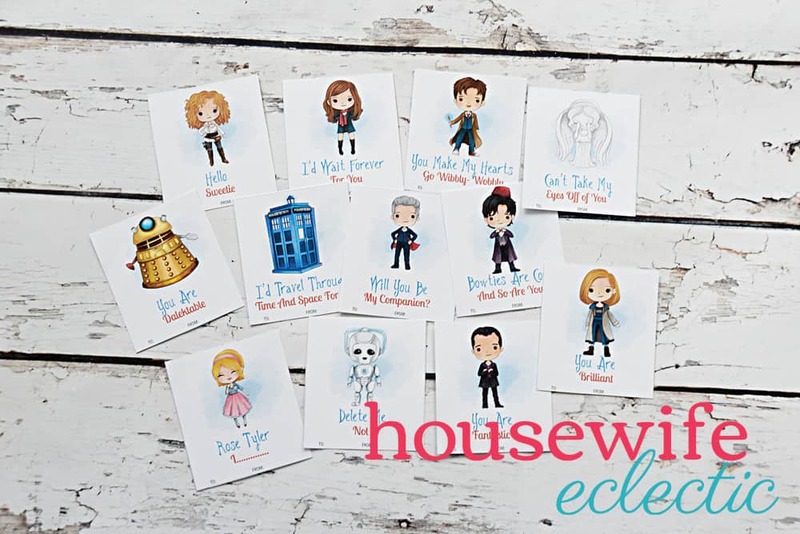 Download the file at the bottom of this post!